Los Angeles airport known as LAX is one of the busiest airports in the world and in Christmas 2014 lax was named the busiest airport in the United States. With nine passenger terminals connected by a U shaped two level roadway for arrival and departure and many travelers who wanted to get out of LAX airport, the traffic is always so heavy around the airport. 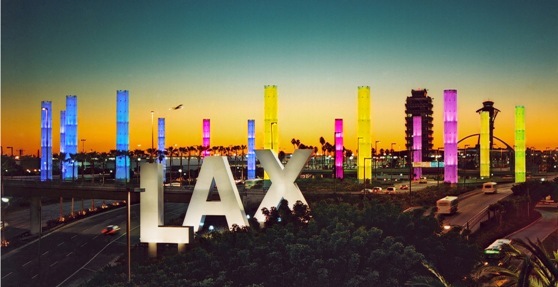 If you are flying to Los Angeles airport with your family or friends and LAX-Van-Rentals can pick you up at the airport terminal and we collect the passenger van at lax airport terminal. LAX Van Rentals offers affordable and discount rate for van rental in LAX. Rent cheap passenger vans in Los Angeles airport LAX or Cargo vans and you do not need to wait for shuttles or other cars to get your rental van. If you are arriving to Los Angeles International Airport, LAX Van Rentals driver will bring the rental van to LAX airport terminals or parking when you rent your van through LAX Van Rentals. We at lax van rentals, offer discount rates, unmatched by other vehicle rental companies in LAX airport or Los Angeles area. You will save time and money with LAX van rental rather than renting multiple cars to fit your group needs. If you have never visited Los Angeles before, you will find that renting only one passenger van through LAX Van Rentals will be a major time saver when looking for parking, as well as money saver as many places in Los Angeles area (known as L.A.) require paid parking. You can check Los Angeles attractions and thing to do in LA area in our website. With the wide available options for LAX van rental we offer, you have the flexibility of choosing any van according to the number of people who are about to travel with unlimited free mileage. For example you can choose 8 pass van , 11-seater van, 12-seater van or maximum 15-seater vans as per your convenience with unlimited mileage. Not only that, but you get varieties among the latest model (2013 - 2014 & 2015) of passenger vans too. Your comfort and luxury will never be compromised when you are opting for full passenger van hire Los Angeles Airport LAX. Getting multi-seated luxury vans was never easier. These vans are cleaned and maintained on a regular basis as well. LAX Van Rentals will be happy to rent your group an affordable passenger van that suits all of your needs, whether it's one of our latest 2013 , 2014 or 2015 models Cargo van , 12 passenger vans or 15 passenger vans. We can help you into a van that will suit the size of your group and all of your luggage. Book your cheap full size passenger van with lax van rentals online and receive a cheap rate discount LAX van rental!